Our range of double-sided probing systems is designed for wafer sizes up to 200mm (8”) and is ideal for testing power semiconductor devices such as MOSFETs and IGBTs at wafer level. 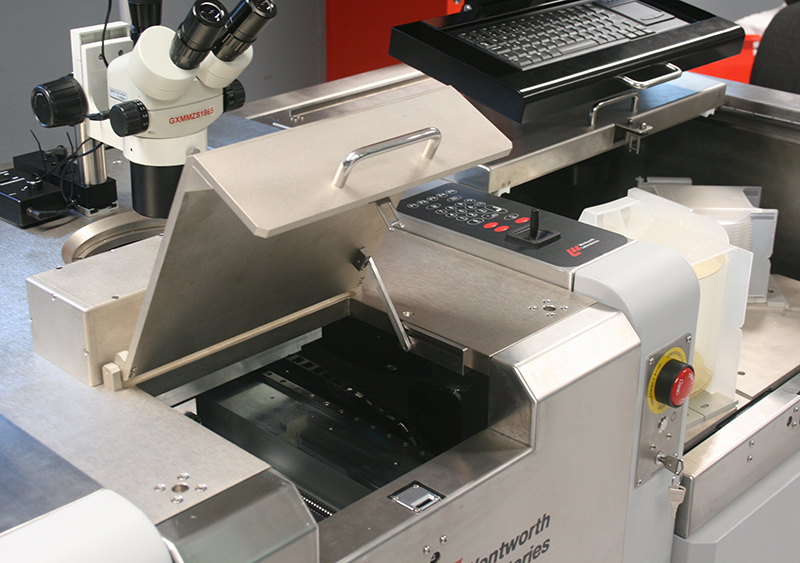 We offer a choice of fully automatic and semi-automatic double-sided wafer probe stations. Both can be customized to suit a wide range of probing applications. Why use A double-sided wafer prober? In today’s competitive power semiconductor market maximizing the production of ‘known good die’ is of vital importance. Double-sided wafer probing provides an accurate and efficient way of fully testing the functionality of more sophisticated and complex power devices at wafer stage. It enables tests which are normally only possible on packaged devices. As a result, it avoids the high cost of re-working power modules, to replace die that do not meet specification for switching speed or RDS(on). At the same time, it also significantly speeds up the production process as well as reducing waste. Traditionally, using a single-sided wafer prober, it is difficult to accurately measure the switching time or RDS(on) of a power device. This is due to the electrical connection of the tester to the drain or collector via the chuck plate. How does double-sided probing work? The main problem with single-sided probing is that the conventional connection method to the chuck introduces a variable inductance electrically in series with the device that is being probed. This can compromise the accuracy of any attempt to make dynamic measurements such as switching speed and RDS(on). 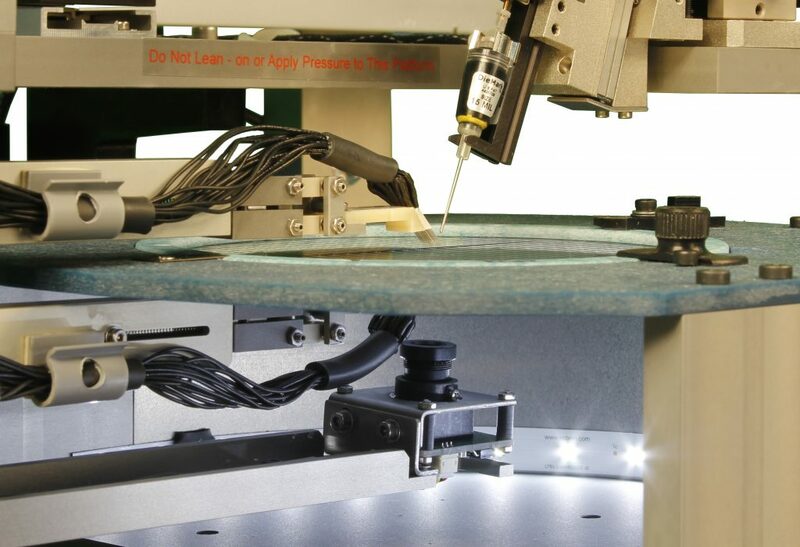 A double-sided probing system allows simultaneous probing of the same die from bottom and top. By using a probe to electrically connect to the drain or collector, rather than a chuck, the series inductance is effectively removed. This means that the line resistance is constant and can therefore be calibrated out of the test results. Consequently, die that do not meet specification can be identified early during wafer testing. Find out how a major power semiconductor manufacturer streamlined their production testing with the help of Wentworth’s A200D double-sided automatic wafer prober. The company used to carry out their wafer testing on a single-sided production prober. However, these tests would only establish to a level of certainty of around 75% that devices were functioning. 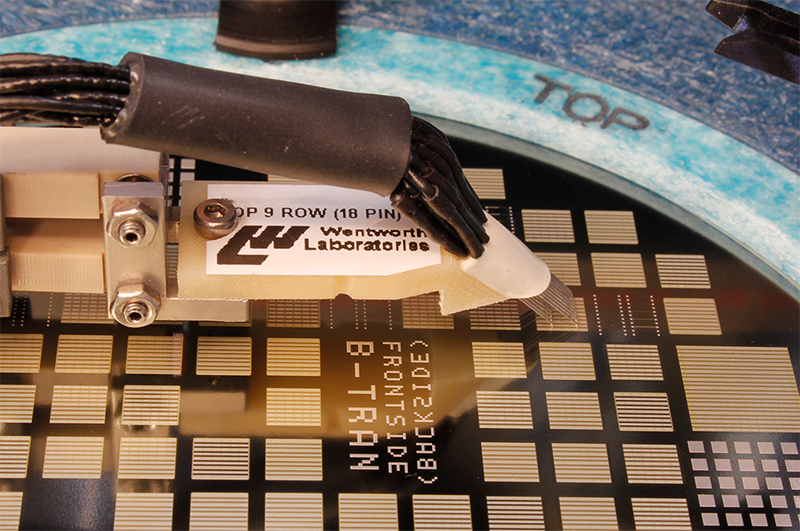 Additional manual tests were therefore carried out to check a sample of devices by probing the underside of the wafer to ensure the reliability of the initial results. This process was extremely time consuming and – due to its manual nature – error prone. It also meant that not all devices could be tested. Introducing the A200D double-sided wafer prober meant that all tests could be carried out at the same time, which eliminated any need for manual testing. 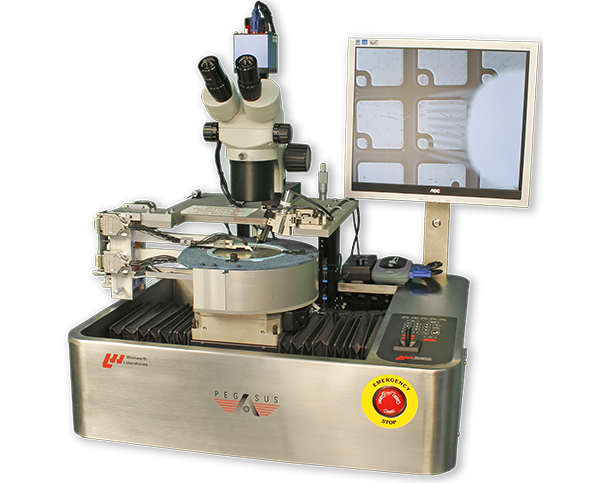 This helped to significantly speed up the testing process and increased the accuracy as now all devices on a wafer can be tested. The accuracy and reliability of the new double-sided probing process was successfully confirmed by testing packaged devices.